Danielle Joliet went from doing drugs on the streets of Philly to Iraq with the Army — and many places in between — searching for a community. 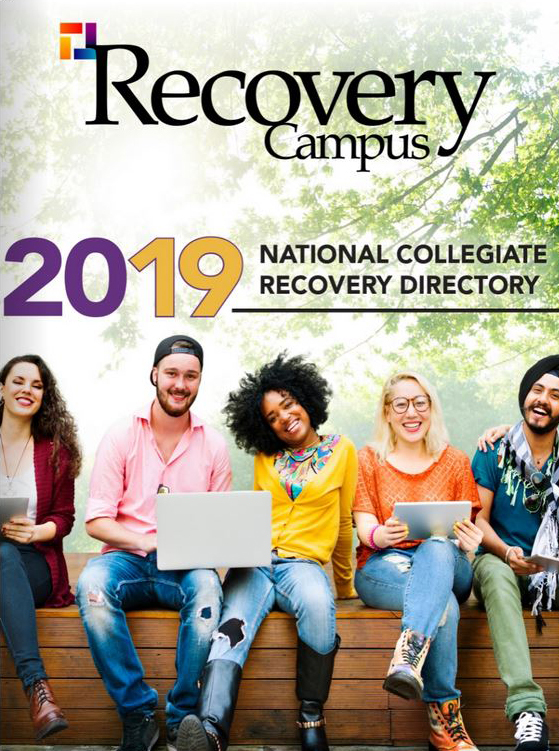 She finally found it in collegiate recovery. I started using drugs when I was 13, and from that first time, things made more sense. My home life wasn’t ideal, and that escape through drugs and alcohol became home to me. I grew up outside of Philadelphia, where it was the norm for people to meet on the railroad tracks and get high. It was a culture of friendship and connection. What I wasn’t getting at home I found on the street. I dropped out of high school and was emancipated from my family at 16. I didn’t realize it then, but that recruiter and the Army saved my life. I reported to him every day for 30 days. He ran me, gave me gallons of water, got me the books to take my GED, dropped me off at class and helped me get a birth certificate. After I went to boot camp, I never saw him again. 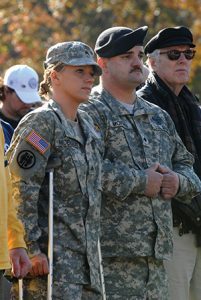 Danielle Joliet served in the Army until 2008, when she sustained an injury while deployed in Baghdad that ended her career with the military. I enjoyed a successful military career. When I realized that the people I served with would give their life for me, I found another family — but this time it was with people who knew my name and with whom I shared values, not drugs. I had a genuine appreciation for the opportunity I had been given. I went from being on the street to serving in the Army, where I got a paycheck and three meals a day. I didn’t want to mess that up. Even then, I thought I was a person with “teenage problems,” not an individual who had a substance use problem. I could drink in the Army, so I did. The military served as a barrier for me, and there was a line I was not willing to cross. But because excessive drinking was normal for me, I definitely pushed that line. 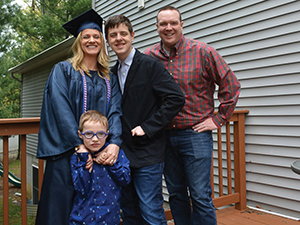 When I was 18, my world shifted again: I became pregnant with my son Randy. Although his father and I were supposed to deploy to Iraq, I didn’t go. It was 2003, the war was just kicking off, I had a brand-new baby and I was scared. Because I refused deployment, I was deemed not fit for active duty and transitioned to the Army Reserve. I sank into a depression. I wanted to be in the service, but I wanted to be a mom, too. I felt shame and guilt about not going to Iraq with my unit. So, I turned to what I knew: alcohol. By the time Randy’s father came home, I had built up resentment toward him for going, and he had resentment toward me for staying. We separated, and I moved back to Philadelphia, where I sank back into old behaviors, doing drugs and reverting to that girl I was before I enlisted. I still didn’t realize I had a problem. No one was telling me anything other than I was making mistakes. I decided to enter the police academy because I knew how to serve. Being a police officer gave me an identity again and gave me that connection I so desperately sought. When my Army unit returned to Iraq in 2008, I went with them and was stationed at a prison in Baghdad where I patrolled as part of the military police. Once there, however, I did not take care of myself. Like a true person who replaces addiction with other behaviors, I started running. A lot. In the heat. I wasn’t eating well, was ripping energy drinks like it was a job, smoking and walking in the heat carrying 30 pounds of equipment. Much of the time, I was in pain, popping Motrin to take off the edge. Then, one day, my leg buckled, and I couldn’t get up. The infirmary gave me crutches and pain medication, and I resumed patrolling with my M16 in the heat. After a week, I couldn’t stand on the other leg. I was sent to Walter Reed National Military Medical Center to rehabilitate my injury. The hospital was populated by two circles of veterans: those who were working on rehabilitating their injuries and finding purpose, like going to school, and those who went to the bar. Guess which circle I joined? I met soldiers who had injuries far worse than mine, so I discounted the damage I sustained. It was bad. I had fractured the femoral necks in my legs — an injury that could not be rehabilitated. I was given a medical discharge from the Army. I couldn’t go back to performing the duties of a police officer. In that minute, I lost my community and everything I had worked so hard for. I was devastated. Brendan Joliet was a nice man I became friends with in Iraq. He encouraged me to come to Virginia with him, and we married. I was happy because as a military wife, I was still part of the military. My life worked. For a bit. Our son Patrick was born in 2011. What should have been a happy day was not. I learned that Patrick was born with a congenital heart disease and that I had placenta previa and needed a hysterectomy — all on the same day. I was 28 years old, newly married, working on my new identity as a military wife, and I suddenly lost my ability to have more kids. We went from dreaming of a big family to focusing on a very sick child who would need two open-heart surgeries. That destroyed me. I went to the VA, where they put me on Xanax. I was already on Percocet from the surgery, and I fell in love with what those medications were doing for me. I was always there for my son, but the substance use and drinking slowly started to chip away at me. No one saw my use for what it was. My husband, still on active duty and away a lot, thought I was sad and felt bad for me. He saw my drinking, but thought the drug use was medicinal. On my end, I wasn’t honest about my substance use and became really good at hiding it. Meanwhile, the VA kept putting me on one psych medication after another. In 2015, my husband quit drinking for three months, thinking that if he stopped, I would, too. I just got worse. Finally, he sat me down and told me he was scared because I was suicidal. He told me that I had to stop drinking. That was what I needed to hear to make me look at my behavior. I was afraid I would lose my children. I enrolled in Penn State and started attending 12-step meetings. I felt lonely and isolated because I couldn’t hang out with the other veterans on campus because they wanted to go to the bar. I didn’t consider the recovery community. It was for “young people,” not someone who was 31, a mother of two, a veteran. Then, one of my professors, H. Harrington Cleveland, mentioned a book he wrote: Substance Abuse Recovery in College: Community Supported Abstinence. Intrigued, I asked to speak to him after class. He told me about the recovery community on campus and gave me a contact. I decided to give it a shot. 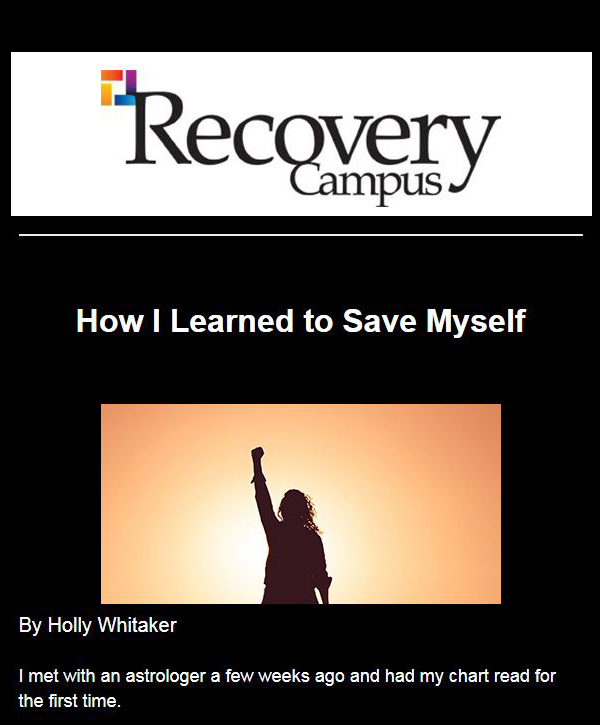 My first collegiate recovery seminar was amazing. These “young kids” were telling my story. Although the circumstances were different, emotions were the same: fear, shame, guilt. This is what I love about collegiate recovery: When you enter a room filled with students in recovery, you enter a room of hope. You can’t walk into our lounge and not instantly feel better — no matter how bad you feel walking in. Each student there is giving 100 percent every day, fighting to better him or herself and to be who they are. The community accepted me. They never made me feel different. They valued my experience so much that the program coordinator invited me to do an internship. I excelled, using skills from my military and police work. With my recovery strengthened, a year ago, I started going to the veterans office where I serve as a mentor to those transitioning from the military to the academic environment. When I found that the military women did not have a space, I founded a meetup every Friday morning so we could hang out and talk over coffee and donuts. Men join us, too. When I was in the military, the recovery world was alien. Through me, these new veterans can see a face and a voice of recovery every week. Because I recover out loud, veterans are comfortable talking to me about their own substance use and problem drinking. They know I’m someone they can talk to and not be judged. I now had a plan: graduate in 2017 and continue to graduate school to become a rehabilitation counselor. I recalled what the counselor at the VA meant to me. I wanted to do the same for someone else. 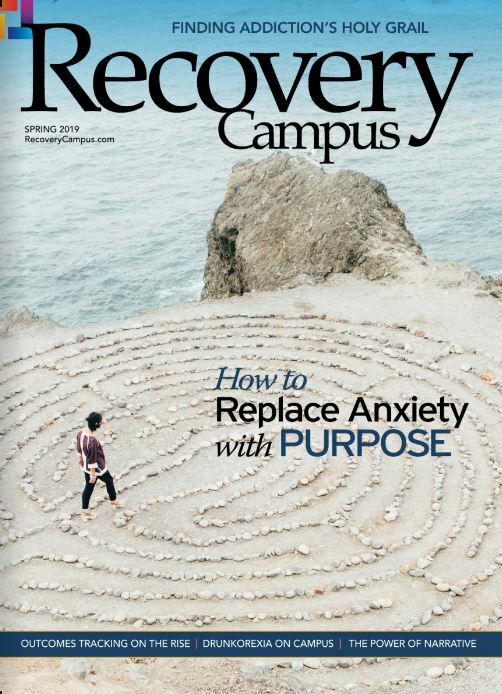 Then, something happened that just blew me away: Instead of sending me on my way after my internship ended, I learned that the university had created a graduate assistantship for me so I could continue my work in the recovery community. Suddenly, everything in my life made sense — all the pain, all the low points, all the guilt, all the loss. It was validation of who I was. I was finally enough. Now, each day, I come to work and give it 140 percent because I am so grateful to be here. We have 16 students in recovery housing; I run the house meetings and programming, coordinate the peer support, manage four seminars a week, serve lunch for 20 students on Wednesdays, and plan celebrations for recovery anniversaries and birthdays. A lot of what I do is just listening to the students. Many have alienated relationships with their parents and need an adult to talk to. I lead by example. I would never ask a student to do anything I wouldn’t do myself. Students step up because they see what I have done. This is the students’ community — they take ownership, and I am their cheerleader. Danielle Joliet would like to hear from you. 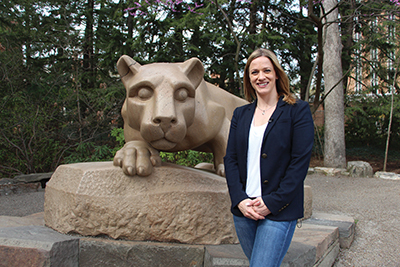 Reach her at dnj5061@psu.edu or 814-863-0140.